Develops flexibility and strength for dance, fitness, gymnastics and rehab. Ground Shipping: $30.00. Please use the quote request when purchasing 4 or more units for possible savings on shipping. 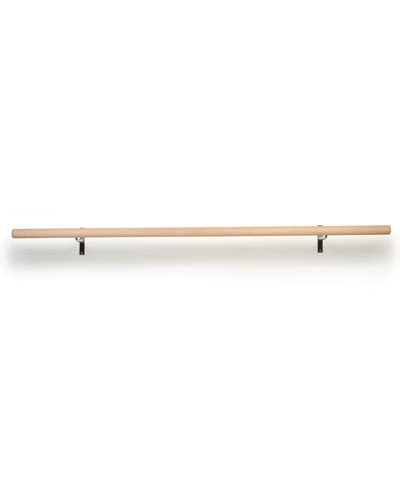 This Dance, Fitness, Gymnastics, Rehab or Stretching Single Fixed Non Adjustable Wall Ballet Barre / Bar features one 1.75" diameter Ash Wood Bar and Chrome Plated Non-adjustable Wall Brackets. Perfect for any Dance Studio, Pilates Studio, Gymnastics Center or Home Studio. Bar is made of hand sanded, unfinished, Ash wood with a 1.75" diameter. 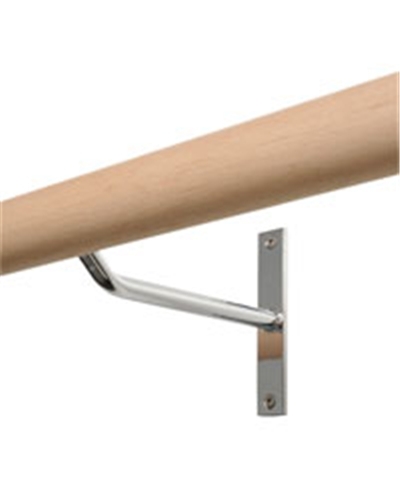 Wall brackets are 1"W x 5.5"L and made of chrome-plated steel. Hole spacing is 4-7/8" apart. GMR has created a resource to help you learn more about ballet barres. 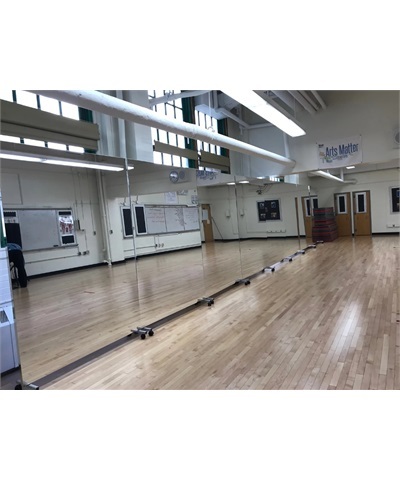 Please review our Ballet Barre Cut Sheets (PDF) to get answers to common ballet barre questions, and call us if you still have concerns.